Ok so it finally happened – we all knew it was coming at some point… the Dr. is now a woman. As we know, Doctor Who is a popular British science fiction TV program that first aired in 1963 and was produced by the BBC. The show is about the adventures of a Time Lord from the planet named Gallifrey. He/She is called The Doctor and is an extraterrestrial being that looks like a human. The Doctor travels the universe in the TARDIS which is a time-travelling spaceship that looks like a blue British police box. While exploring the universe, The Doctor is accompanied by several companions and fights different kinds of enemies while helping those who are in need. To cope up with actors leaving the show, the producers and writers introduced the concept of regeneration for The Doctor. This means The Doctor will gain a new appearance and a new personality every time he reaches the end of the current incarnation. Each actor portrays a unique Doctor and represents the stages in the life of the same character which of course up until now has always been a male. As of today, Doctor Who is currently on its 26th season and 11th series. Since the TV show premiered in 1963, The Doctor has been reincarnated twelve times and since then The Doctor was always portrayed by a male actor. And for The Doctor’s thirteenth reincarnation the producers and writers decided to spice things up a bit by reincarnating The Doctor into a woman. And she is set to play the role of The Doctor for the show’s twelfth series that will be aired 2020. And here is what we know so far about the Thirteenth Doctor who is portrayed by actress Jodie Whittaker. The concept of having a female Doctor was first mentioned by Tom Baker in 1981 when he suggested that his replacement might be female after he announced his departure as the fourth Doctor. The show’s producer, John Nathan-Turner also said that there was a possibility of having a female Doctor after the fifth Doctor’s departure which was played by Pete Davison. John Nathan-Turner said that the possibility of having a female Doctor was feasible but he was not considering it at the moment. And on July 2017, BBC finally announced that the Thirteenth reincarnation of The Doctor would be a female and introduced Jodi Whittaker would play the part. She made her debut on the show during its 2017 Christmas special entitled “Twice Upon A Time”. Doctor Who’s showrunner, Chris Chibnall said that Whittaker’s auditioned blew them all away. He even described Whittaker a funny, in-demand, inspiring, smart force of nature that will bring loads of wit, warmth, and strength on her role as The thirteenth Doctor. And BBC also confirmed the news of the Female Doctor by announcing the show’s twelfth series starring Jodi Whittaker started its production in November 2018 and the series is set to air in 2020. Chris Chibnall said that the thirteenth Doctor will have a new calibration and a new mixture of “Doctorishness”. He said that Whittaker’s portrayal of The Doctor will have a warm, energetic, funny, lively, and inclusive personality. 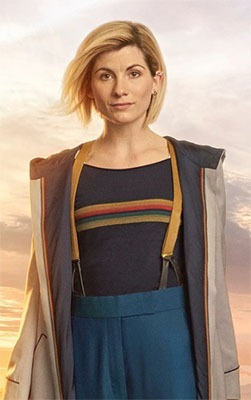 The announcement of having Jodi Whittaker portray the thirteenth Doctor mostly gained positive reviews even if the minority of the Doctor Who fans were unhappy. Others said that having a female Doctor would make a good role model for young girls while others said that The Doctor was only meant to be male. On the other hand, the previous actors who played The Doctor all gave positive reviews about having a female Doctor and casting Whittaker. Colin Baker, the sixth Doctor, said in his opinion piece for The Guardian that he could not think of any logical reason why The Doctor could not be a woman. And Pete Davison, the fifth Doctor, said that the female casting means a loss of a role model for boys but he noted that Whittaker is a terrific actress and that she would do a wonderful job in her role. However, he said that if the audience would lose their interest in the show, then Whittaker should be replaced. Fans also thought that the thirteenth Doctor is a breath of fresh air because Whittaker is an emotionally engaged and talented actress that will bring warmth and humanity to the show. They said that she will bring in a new era for the 55-year-old show with a remarkable level of assurance.